A very simple but delicious dish for a summer’s day! 1. Halve 2 of the lemons and place in a very large pan of water and bring to the boil. Snap the stalk off each artichoke and remove any hard outer leaves. Cut the remaining lemon in half and rub the juices over the artichokes and squeeze any remaining juice into the pan. 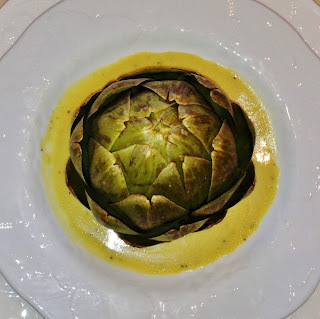 Place the artichokes in the water, weighing them down with a plate and cook for 40 minutes. Drain well upside down. 2. To make the vinaigrette, combine the vinegar and mustard in a lidded jar and season to taste. Pour in the olive oil and shake vigorously to make a thick dressing. Taste and add more mustard, vinegar or seasoning if necessary. 3. 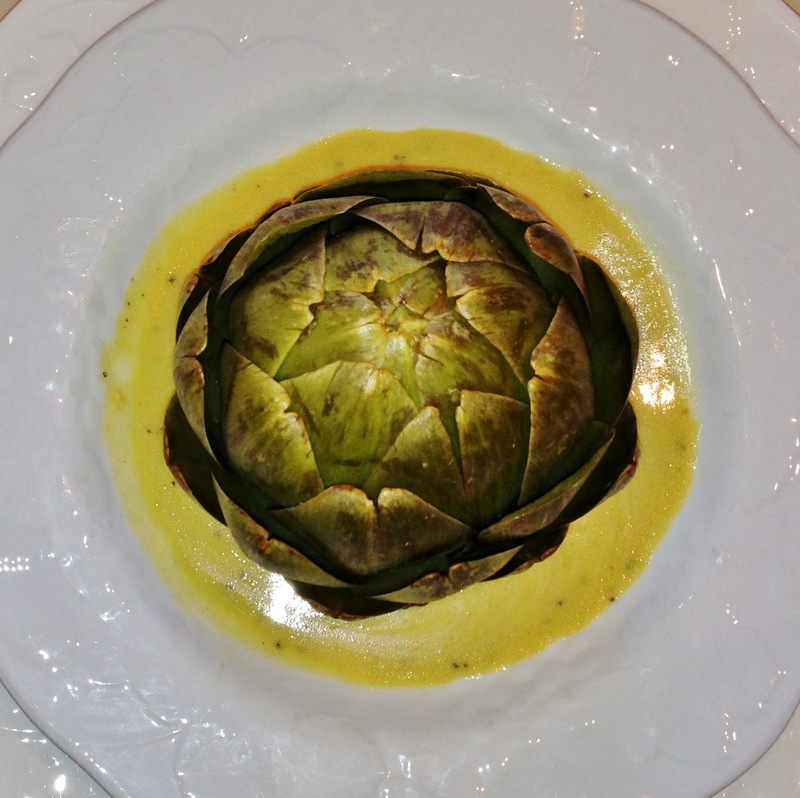 Turn the artichoke over and serve them with the vinaigrette dipping sauce. 4. To eat, pull off the leaves from the base up, dipping them into the vinaigrette and scraping off the fleshy part with your teeth. When you reach the small purplish leaves in the centre remove them and then scrape out the hairy choke and discard, then eat the heart. Enjoy! I've been eating, sleeping and living food since I started developing the best recipes - not that I had food out of my mind for long before then. I wake up in the morning thinking what to cook for dinner. Once I've finished eating one meal, I'm wondering about the next. Lets share our favourite recipes... this is the page for people that appreciate the best food & drink! copyright bestrecipes 2011. Powered by Blogger.